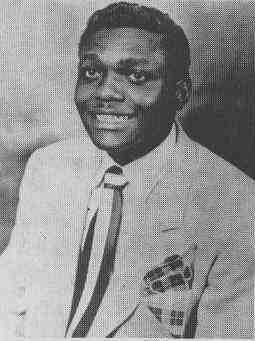 Jackie Brenston—the singer/saxophone player who, along with Ike Turner’s Kings of Rhythm, recorded the epic 1951 hit “Rocket 88,” the first ever No.1 hit on Chess Records, which some scholars consider one the first recorded rock ‘n roll songs—was thought to have been buried in an unmarked grave at Heavenly Rest Cemetery in the small hamlet of Lyon, just outside his hometown of Clarksdale, Mississippi. According to his obituary in the Clarksdale Press Register, Brenston suffered a heart attack and died at the Kennedy V.A. Hospital in Memphis on December 15, 1979. Reverend X.L. Williams presided over his funeral at Damascus M.B. Church on December 23, 1979, and the Delta Burial Corporation, of Clarksdale, subsequently buried the World War II veteran in the military section of Heavenly Rest Cemetery. [i] Living Blues magazine editor Jim O’Neal, who conducted two interviews with Brenston in the 1970s, visited the burial site shortly thereafter and photographed his temporary grave marker—a small metal plaque displaying a card on which someone typed his death date and his name, “Mr. 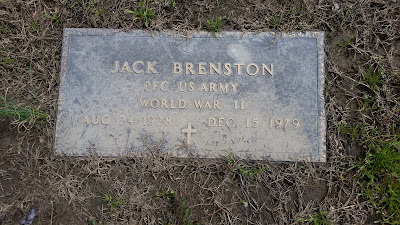 Jackie Brenston.” Until recently, it was believed to have been his only grave marker. Having recently assisted the Mt. 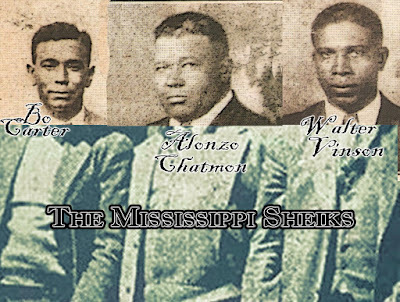 Zion Memorial Fund in the unearthing the long lost military headstone of eminent blues fiddler Henry “Son” Simms, Clarksdale native and local historian Robert Birdsong developed a renewed sense of determination in the winter months of 2014/2015. He never thought such a discovery was possible. 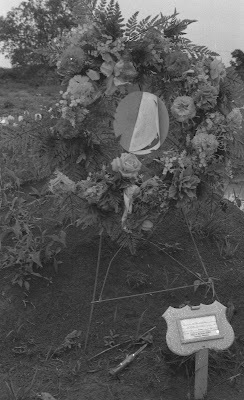 He had spent much of his spare time digging through county records, scrolling through old newspapers, and traipsing through overgrown cemeteries in search of the unmarked graves of his blues heroes, but his exhaustive efforts had amounted to only a single discovery—the unmarked grave of Big John Wrencher, located not far coincidentally from the headstone of Simms at Shufordville Historic Cemetery in Lyon. The seemingly impossible discovery of Simm’s headstone, indeed, transformed Birdsong’s dismay into energetic optimism, activating his expectant quest to find the supposed unmarked grave of Jackie Brenston. 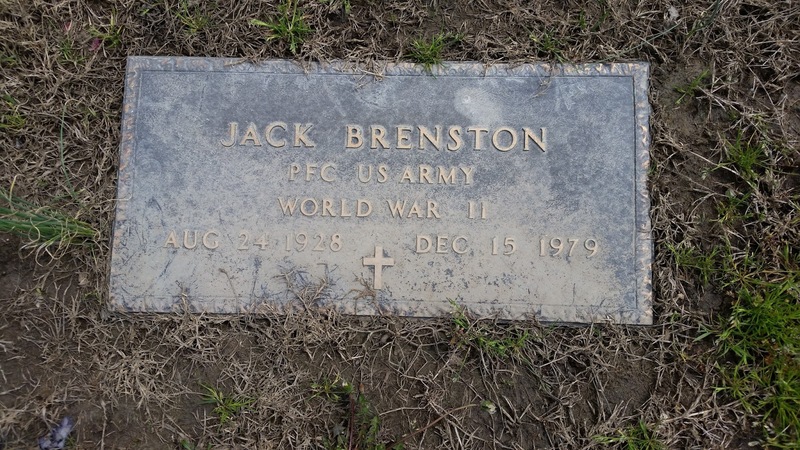 While the birth date on the marker, August 24, 1928, corresponds with the date recorded in his army enlistment records, Brenston’s date of birth has been the subject of some debate. [ii] In a 1974 interview, Brenston told Jim O’Neal and Amy van Singel that he was born on August 24, 1927—the same date as the marker only a year earlier. His obituary in the Clarksdale Press Register, however, lists his birthdate as August 15, 1930. [iii] O’Neal suggests a potential explanation for the discrepancies in his lengthy obituary for Living Blues, in which he argues that Brenston falsified his birth date to qualify for the armed services in 1944. [iv] A survey of secondary scholarship supports O’Neal’s theory in revealing the prevalence of false information volunteered by enlistees during World War II. A deeper analysis of his military enlistment records and personal interviews, moreover, suggests his mother, Ethel Brenston, likely falsified information to enlist her problematic teenage son in the military. Brenston was admittedly unruly in his youth; he ran away from home several times in the early 1940s. With the nation embroiled in the bloody carnage of World War II, the rebellious fifteen year-old returned home from his most recent escape attempt and volunteered—much to the delight of his mother, who, Brenston recalled, had to provide guardian approval for her underage son—to enlist in the army. The military, by law, did not accept anyone under the age of seventeen, but some scholars have pointed out that “underage enlistment was relatively common” in the 1940s. [v] Brenston claimed to have served for over three years in the 82nd Airborne, but the Department of Veterans Affairs recorded his enlistment date as January 10, 1946 and his release date as December 18, 1946, which amounted to less than one year of service. Considering that scores of “underage recruits” managed to enlist “through elaborate schemes, cleverly altered documents, and with assistance from military recruiters and parents,” Ethel Brenston likely volunteered her uncontrollable son for military service, perhaps even with the help of recruiters, who knowingly falsified his enlistment records. It remains difficult to discern, however, the exact length of time Brenston spent in the military during the 1940s.[vi]. 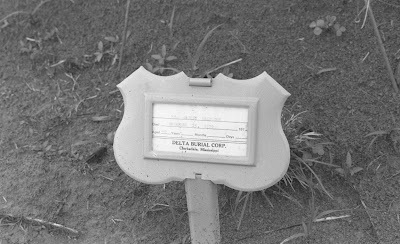 After unearthing and placing the small, flat military marker of Brenston back on top of his grave, Birdsong realized it was especially vulnerable to souvenir-seeking tourists, many of whom flocked to Clarksdale each year to visit local clubs, attend festivals, and visit historic sites. He therefore contacted Coahoma County Coroner Scotty Meredith, who operates a local monument company and previously donated the headstone for Big John Wrencher, and talked him into mounting the military marker on top of a granite base. 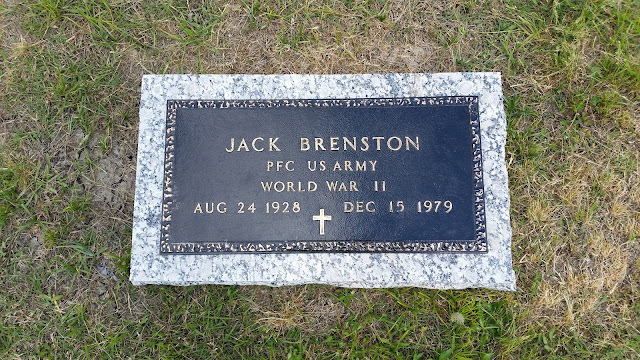 Never thought to have existed, the military headstone of Jackie Brenston now sits securely atop his grave in Heavenly Rest Cemetery. The burial ground, which awaits its turn to receive a historical marker on the Mississippi Blues Trail, also contains the unmarked grave of saxophone player Raymond Hill, who performed alongside Brenston in Ike Turner’s Kings of Rhythm. i] “Jackie Brenston Burial Sunday,” Clarksdale (MS) Press Register, Dec 21, 1979, 2A. [ii] Jackie Brenston, interview by Jim and Amy O’Neal, November 11, 1974, “Subject File: Jackie Brenston,” Blues Archive, University of Mississippi. [iii] “Jackie Brenston Burial Sunday,” Clarksdale (MS) Press Register, Dec 21, 1979, 2A. [iv] Jim O’Neal, “Jackie Brenston,” Living Blues 45/46 (Spring 1980): 18. [v] See Melinda L. Pash, In the Shadow of the Greatest Generation: The Americans Who Fought the Korean War (New York: NYU Press, 2012), 230 note 4; and Colin Campbell, “For Some Veterans, Underage Enlistment is Point of Pride,” The Baltimore (MD) Sun, Nov 10, 2013, http://articles.baltimoresun.com/2013-11-10/news/bs-md-underage-veterans-20131110_1_drill-instructor-enlistment-bronze-star [accessed March 29, 2015]. [vi] Joshua Ryan Pollarine, “Children at War: Underage Americans Illegally Fighting the Second World War,” thesis, The University of Montana, 2008, p.2.